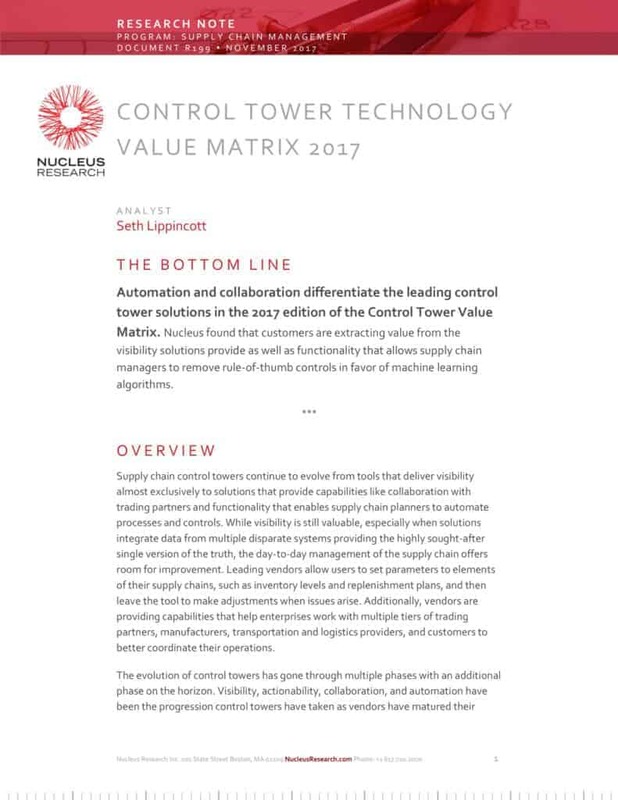 Nucleus Research: Control Tower Value Matrix 2017 - E2open | Demand. Supply. Delivered. Supply chain control towers continue to evolve from tools that deliver visibility almost exclusively to solutions that provide capabilities like collaboration with trading partners and functionality that enables supply chain planners to automate processes and controls. E2open is a Leader in the 2017 Control Tower Value Matrix, delivering a multi-enterprise platform that connects an enterprise with multiple tiers of suppliers, distributors, and customers to gain a comprehensive view of the value chain. Learn more in the full report.